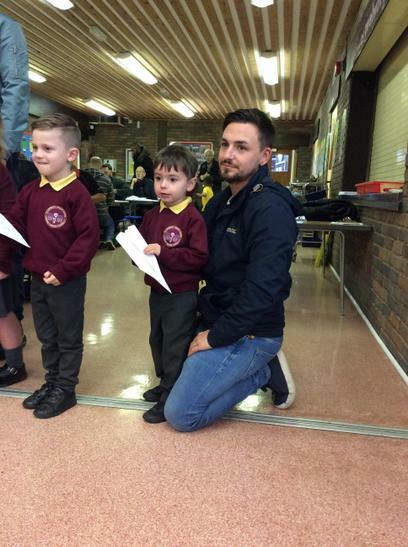 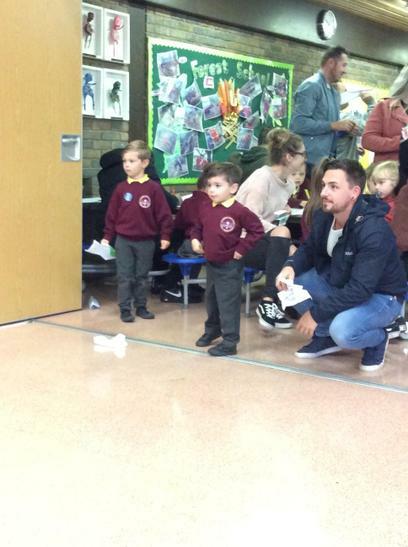 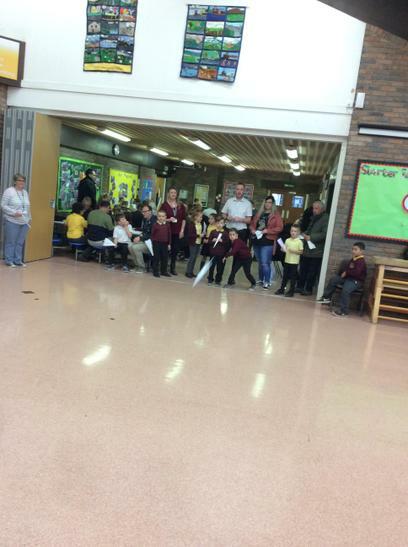 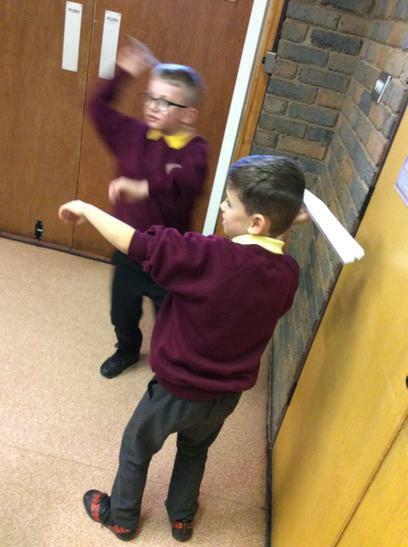 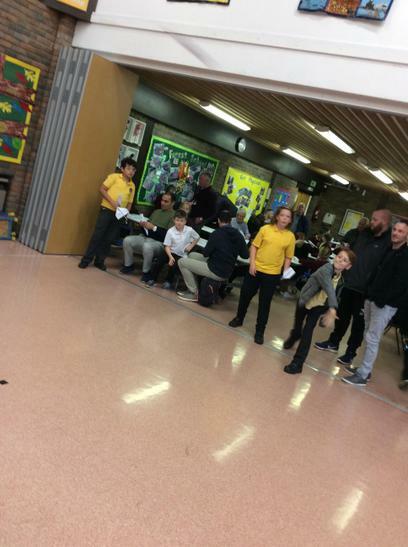 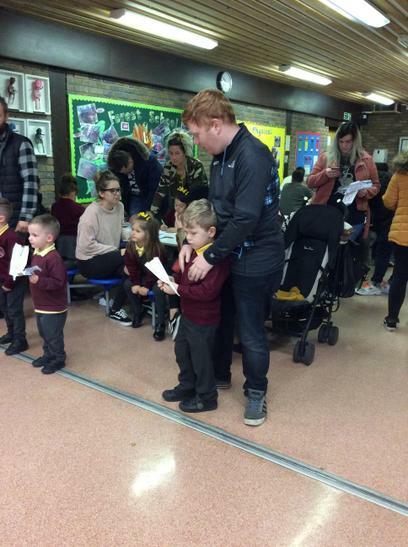 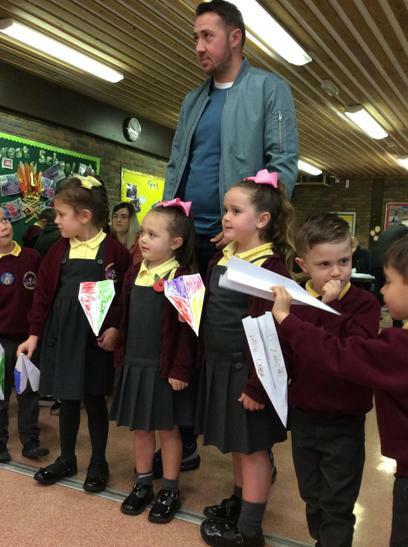 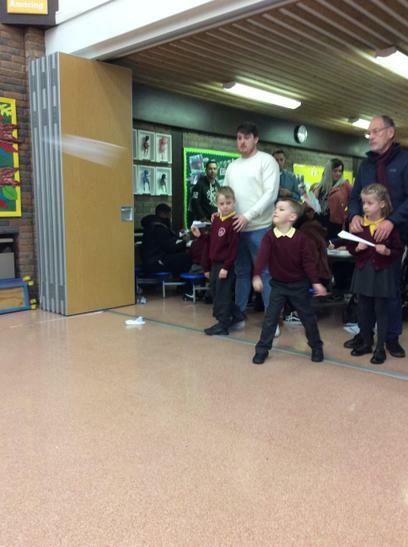 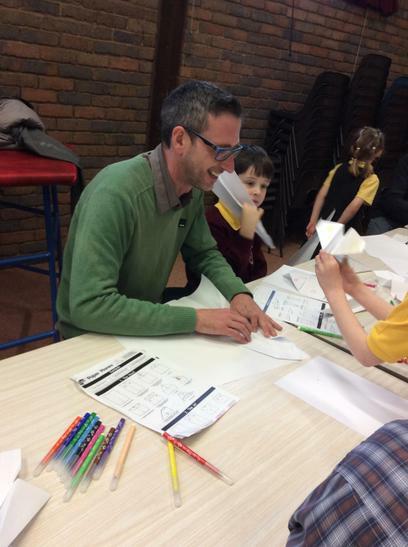 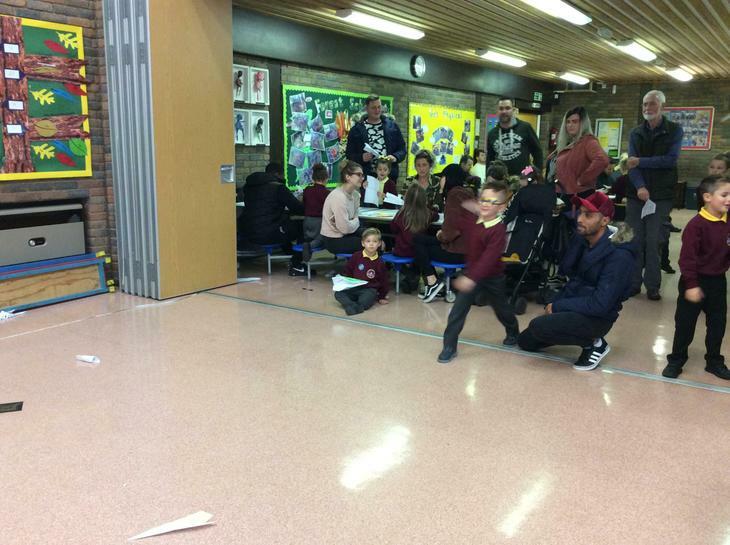 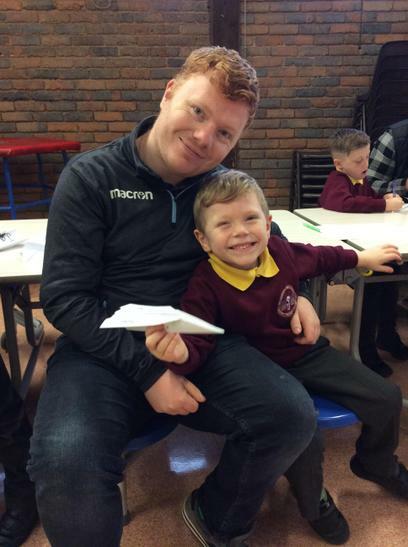 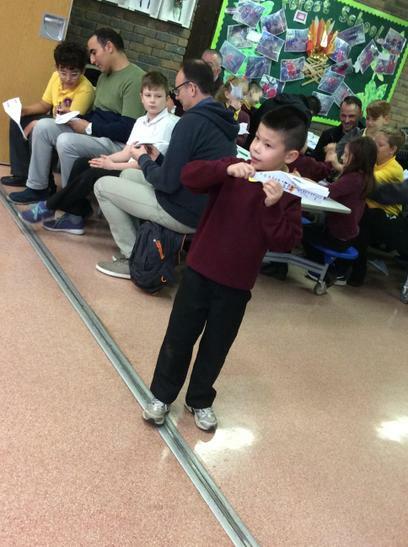 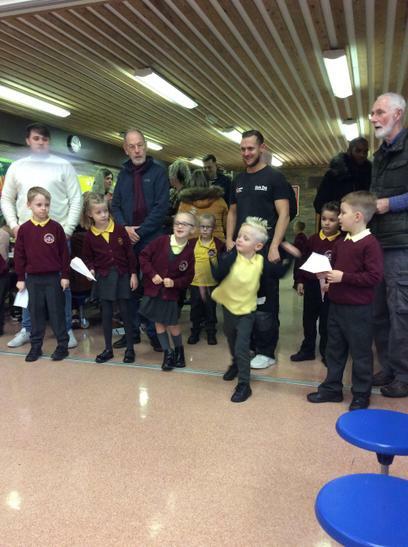 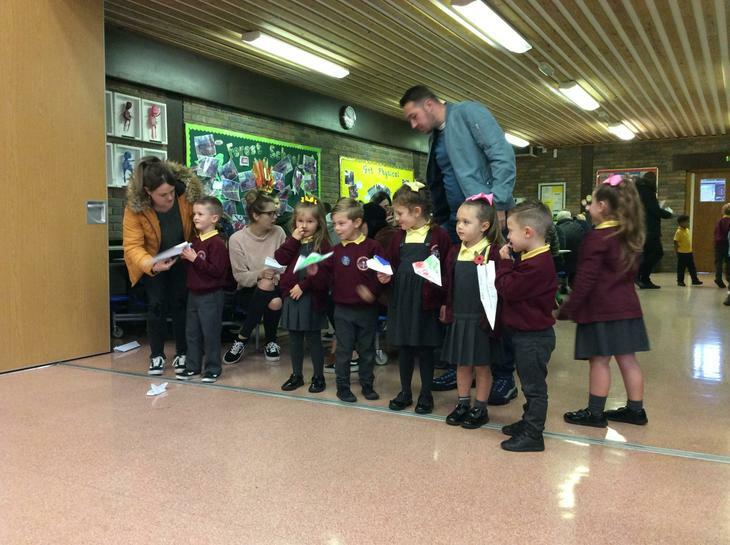 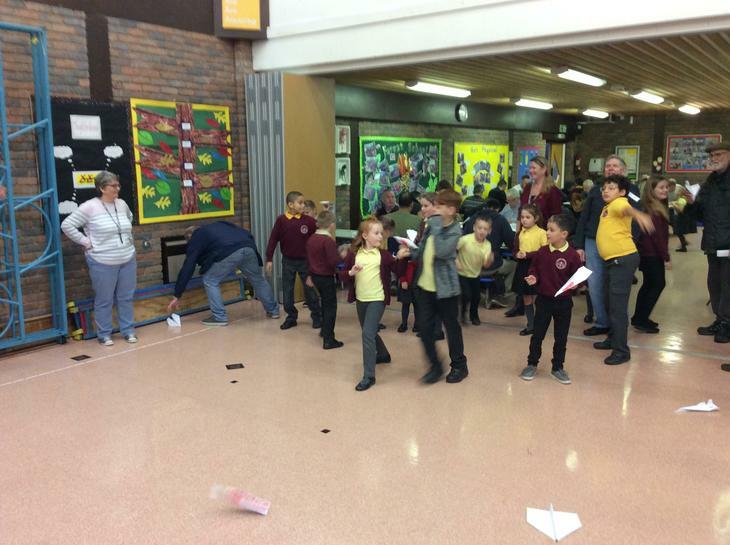 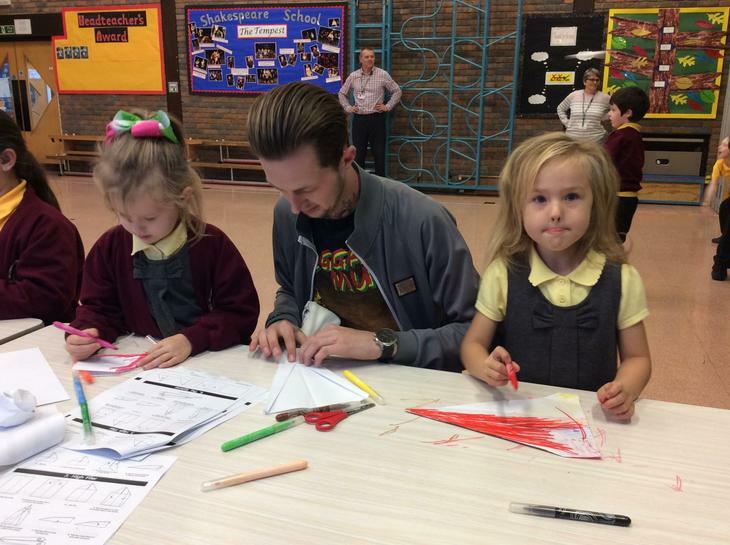 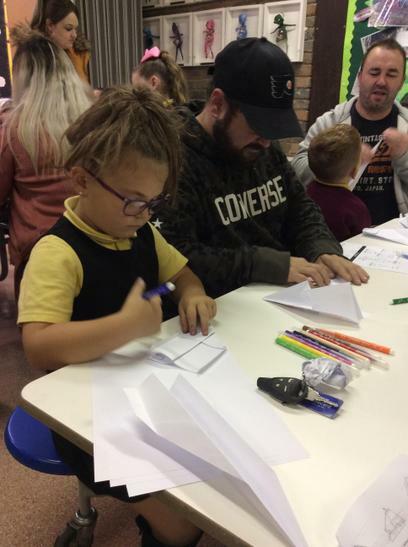 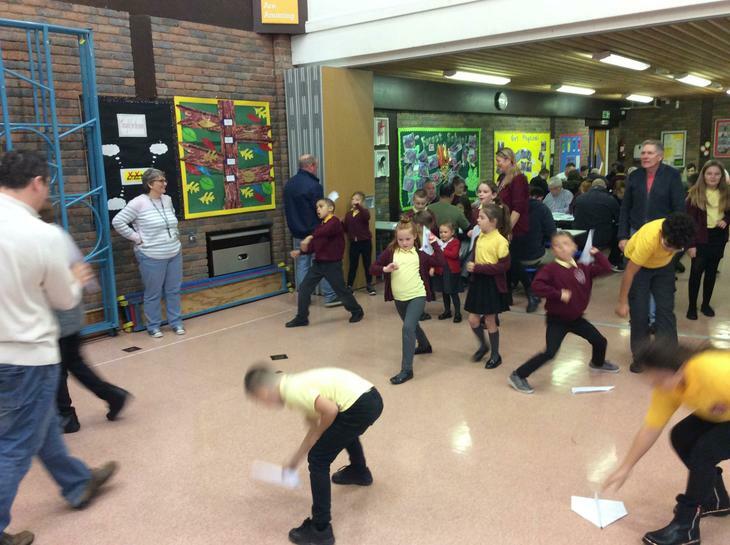 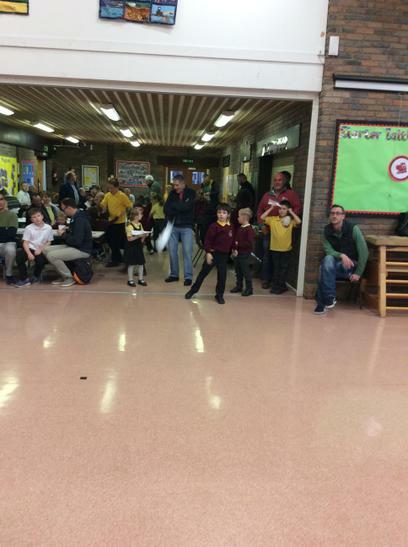 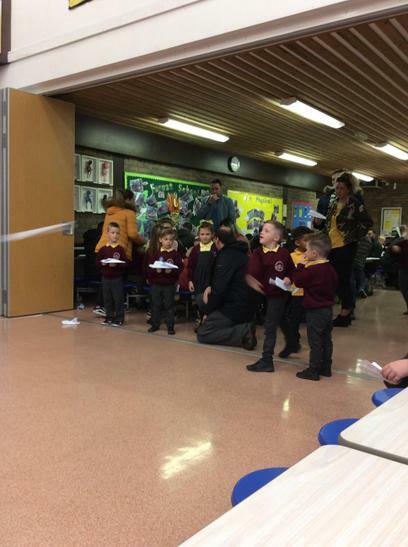 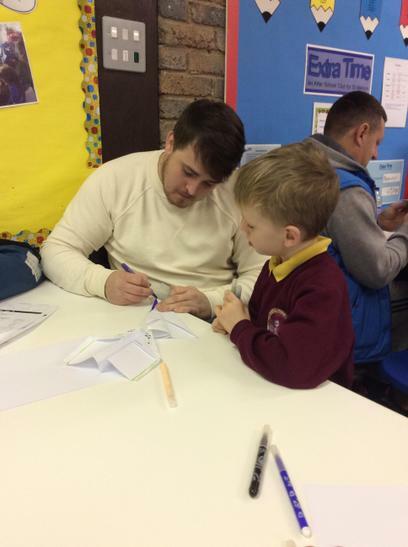 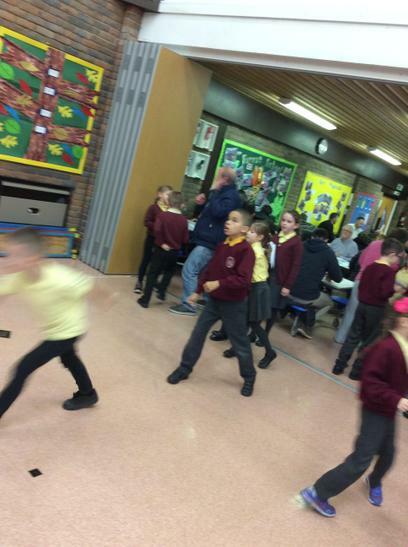 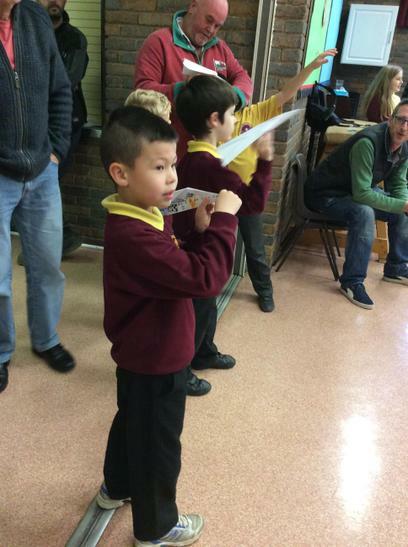 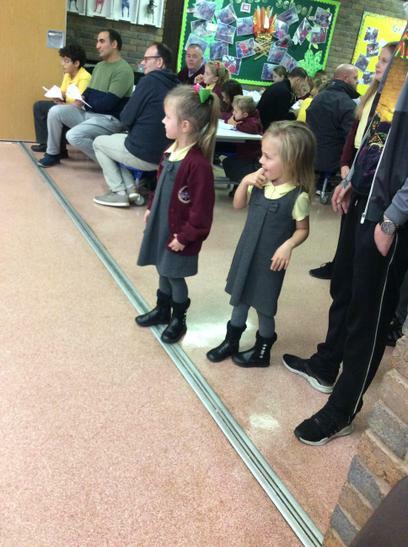 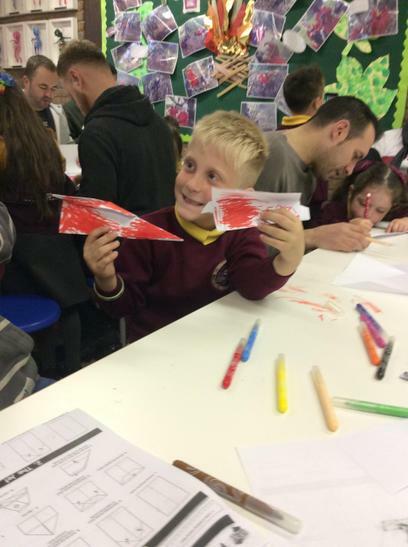 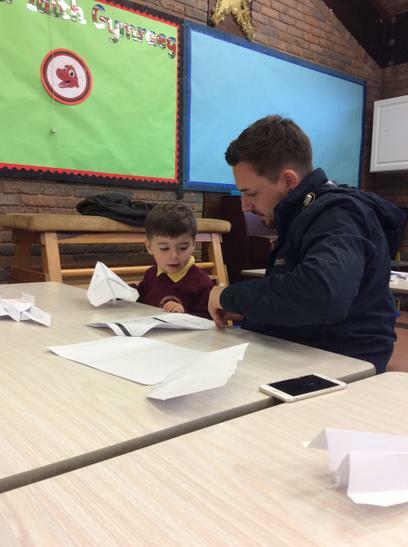 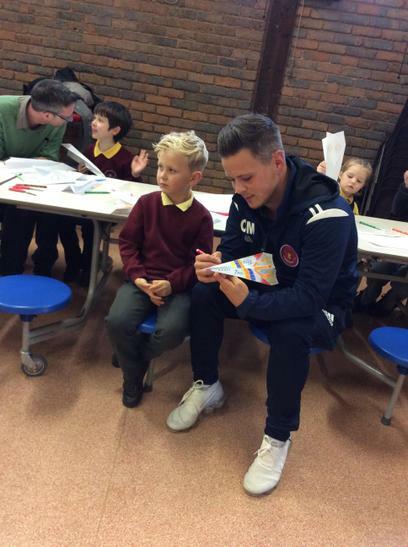 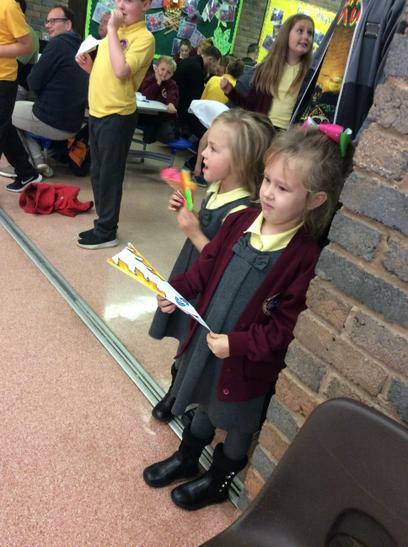 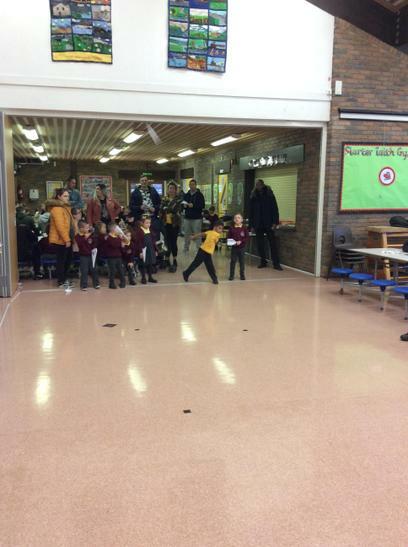 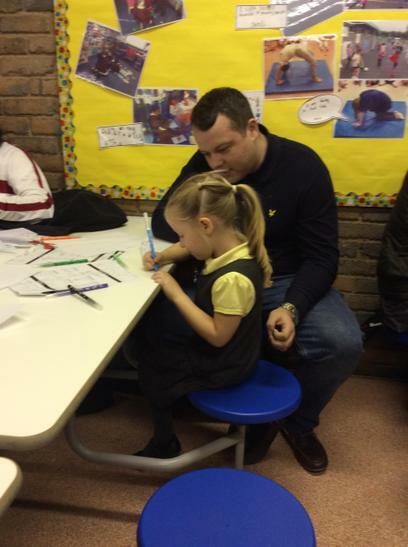 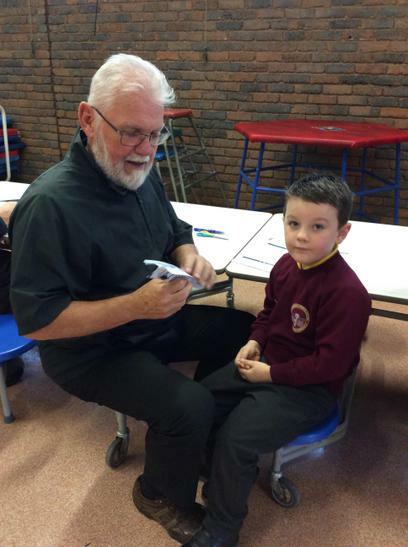 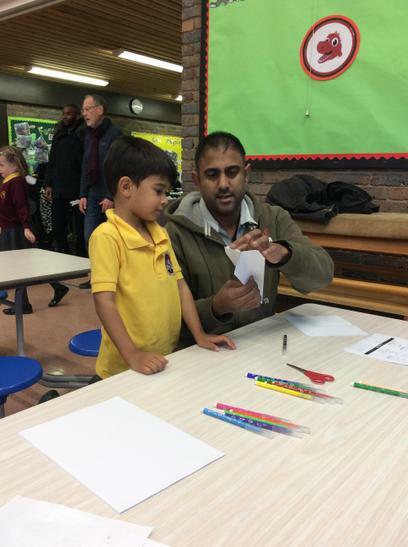 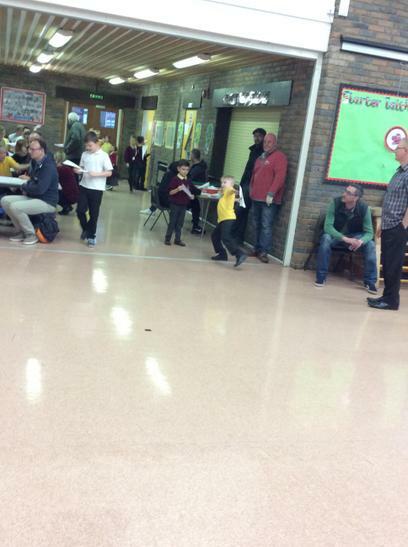 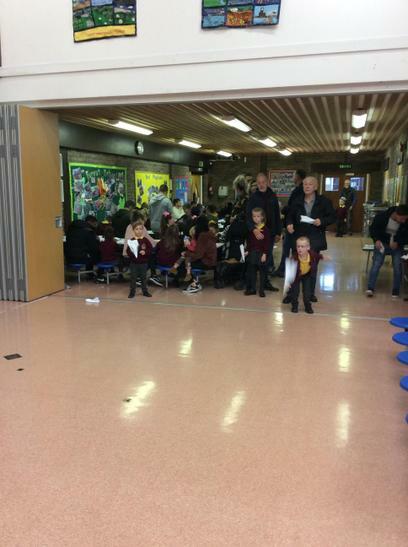 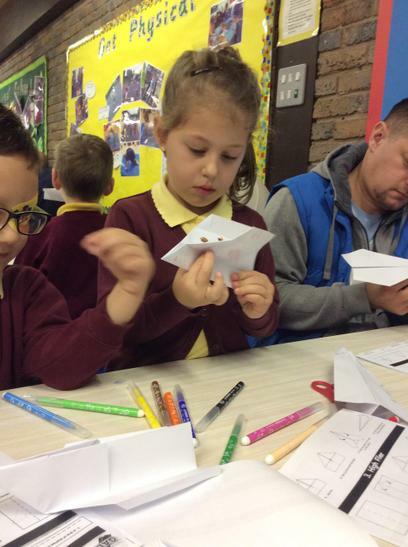 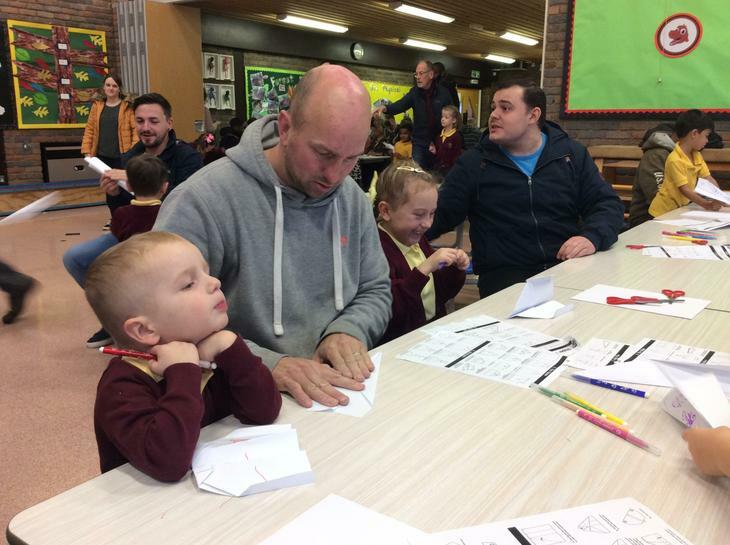 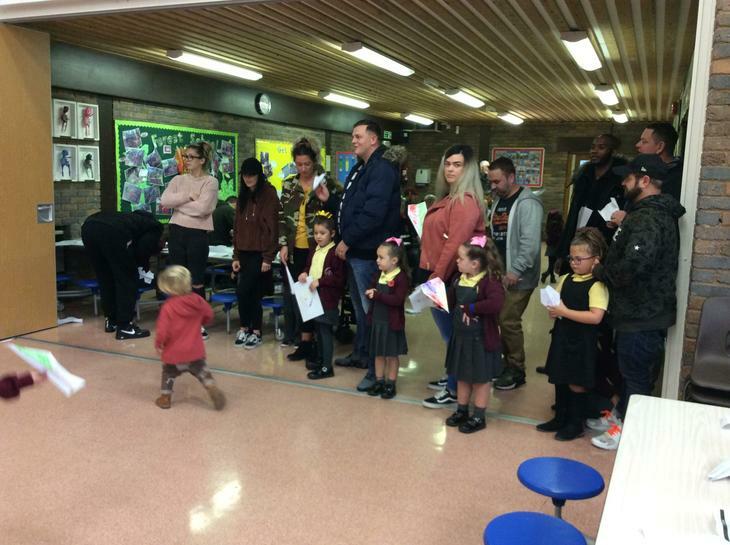 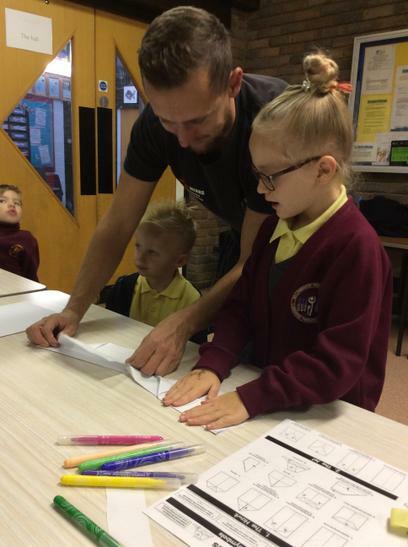 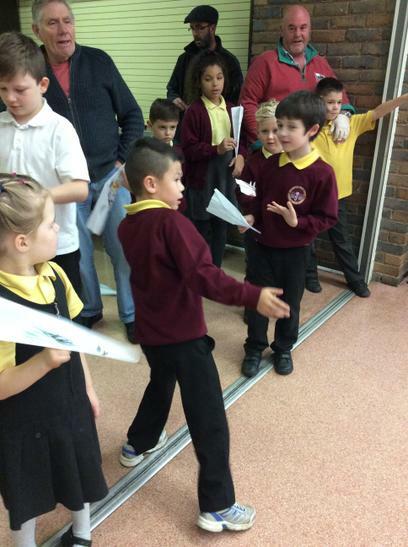 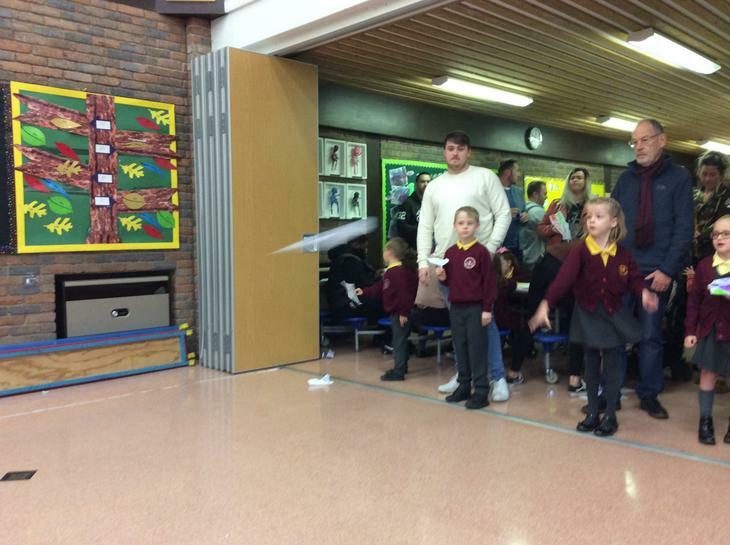 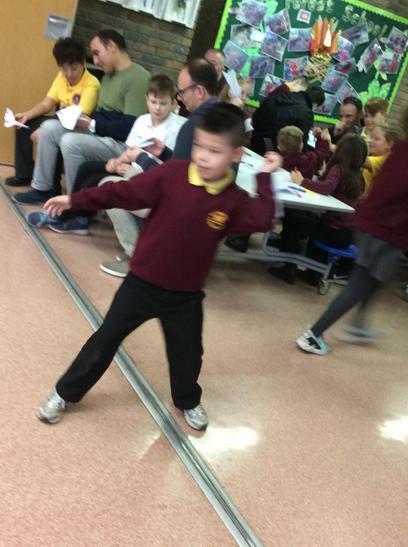 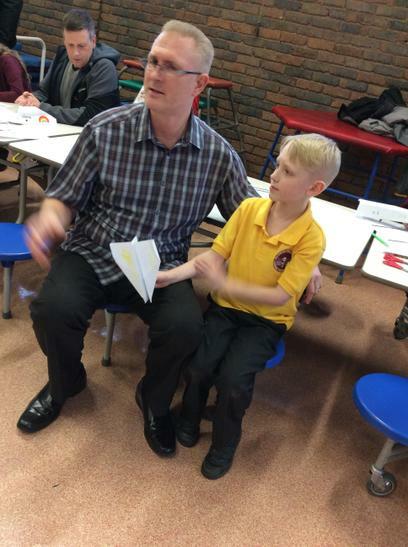 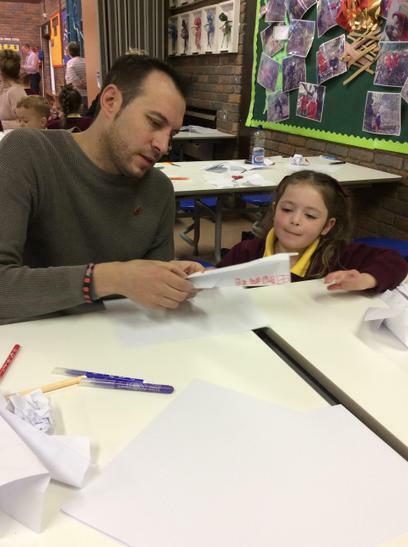 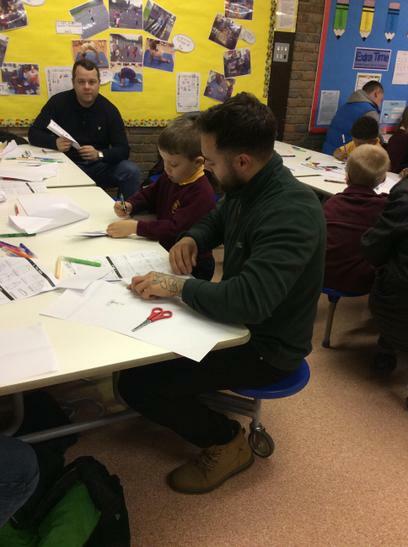 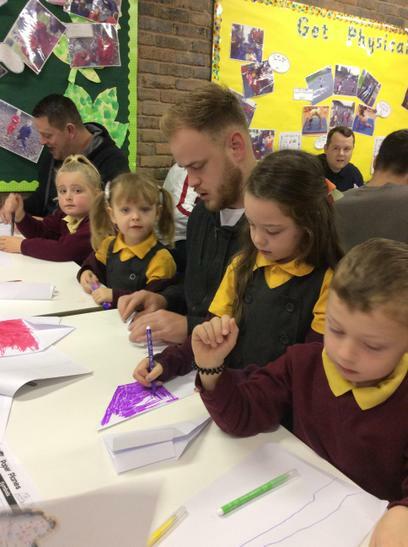 We had a great time welcoming over 80 parents & grandparents through our doors to see their hard work in making paper aeroplanes to launch! 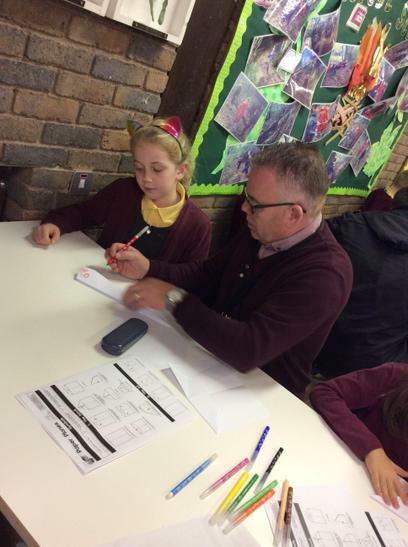 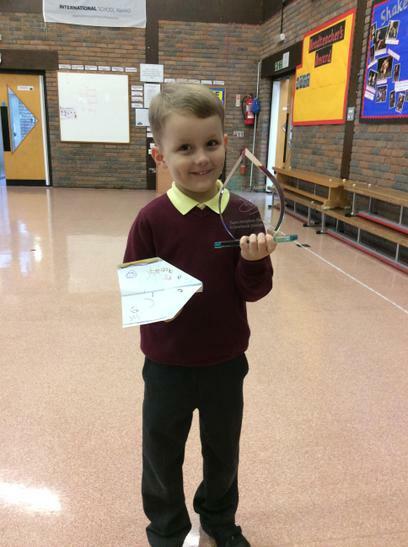 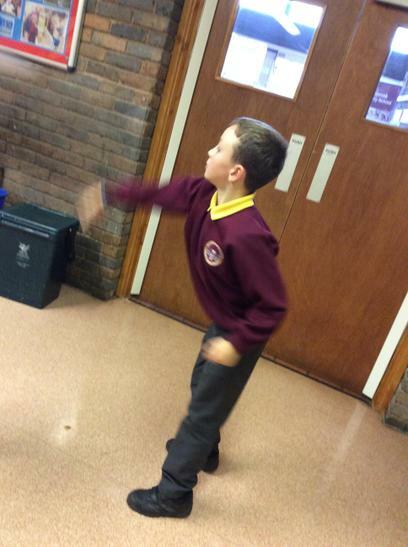 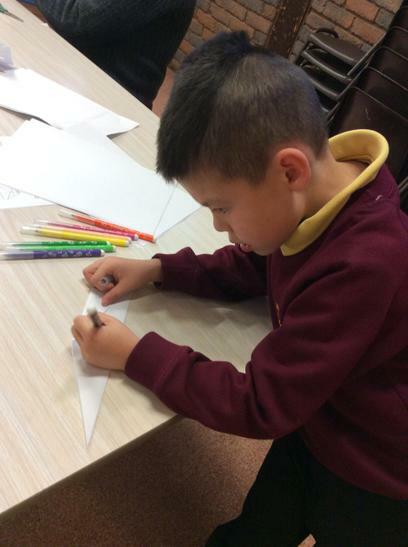 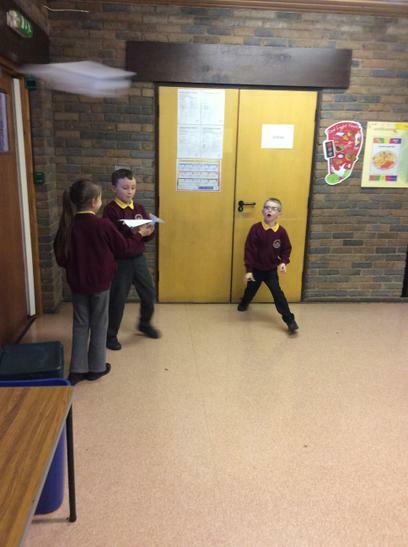 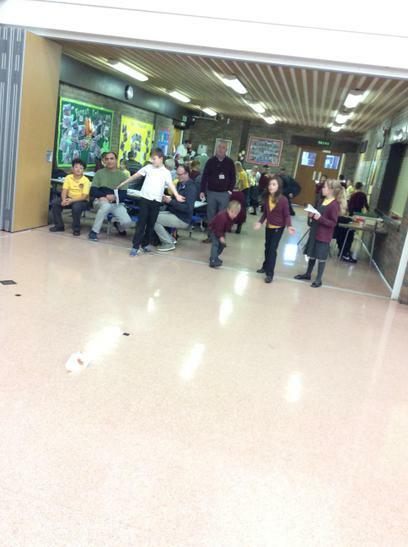 There were many creative designs showing great aeronautical skills! 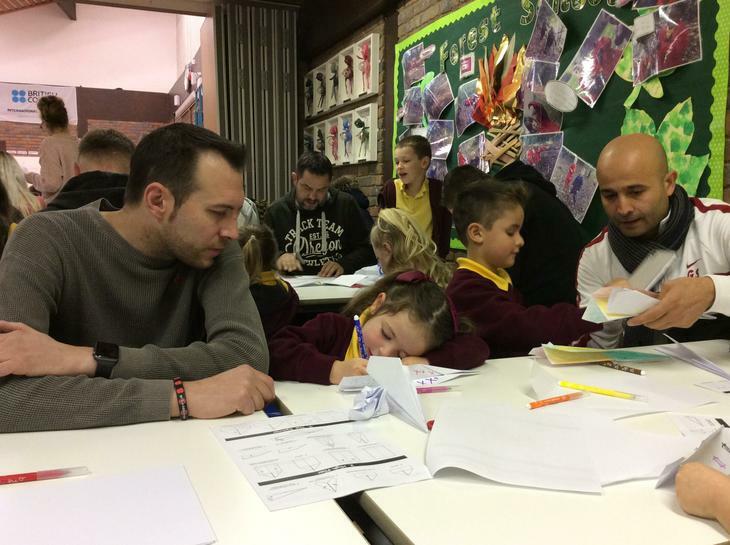 Well done to everyone for contributing so positively to the sessions; it was lovely to see the hall buzzing with conversation and creativity. 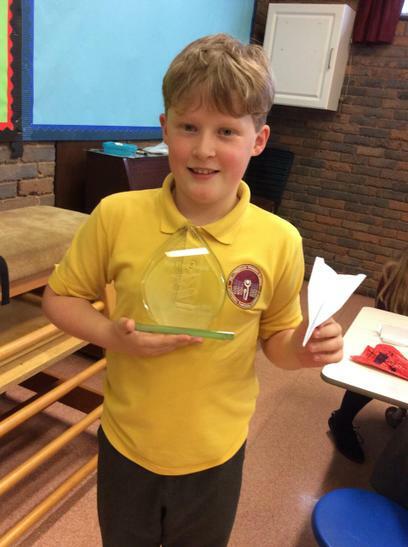 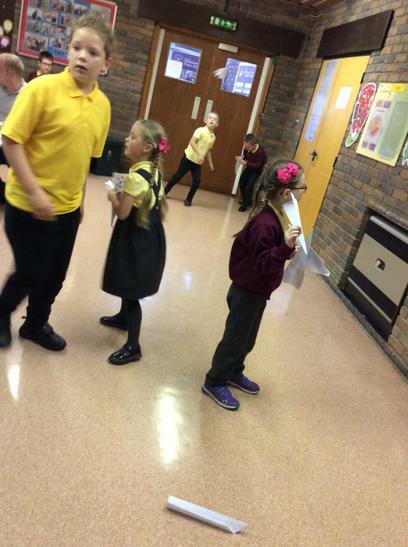 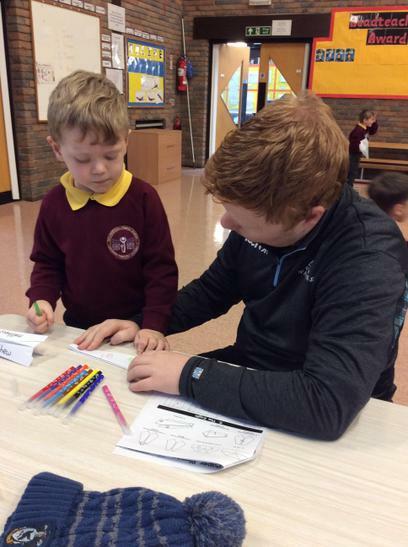 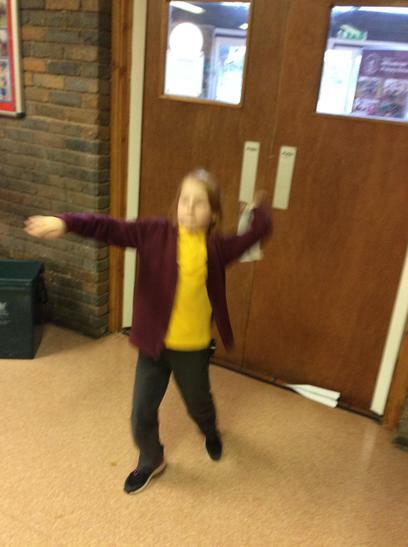 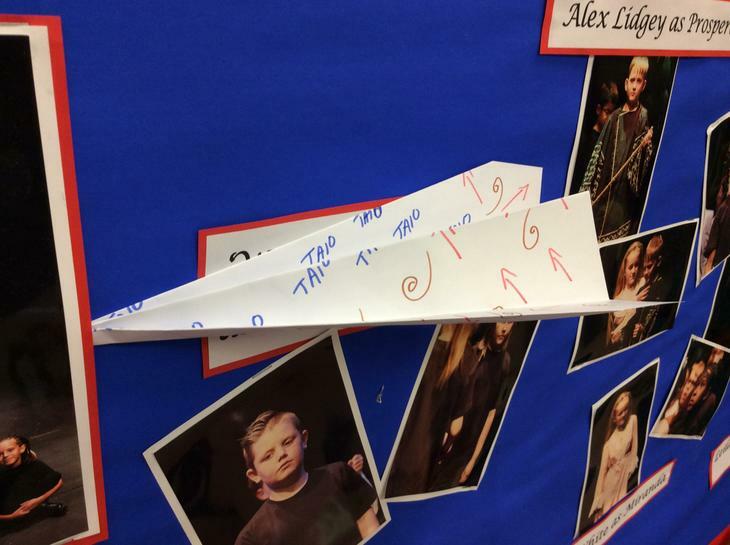 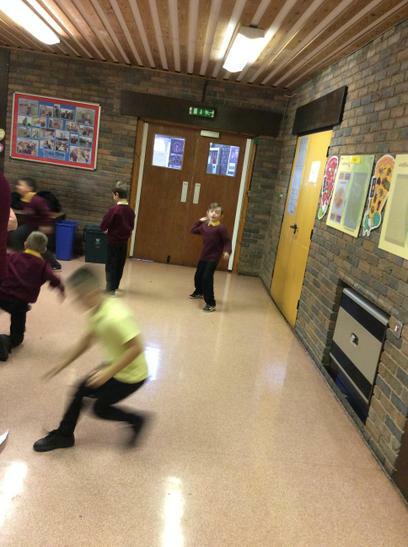 Congratulations to two of our pupils whose planes travelled the furthest...10.3m and 11.1m - that was nearly the length of the hall itself!